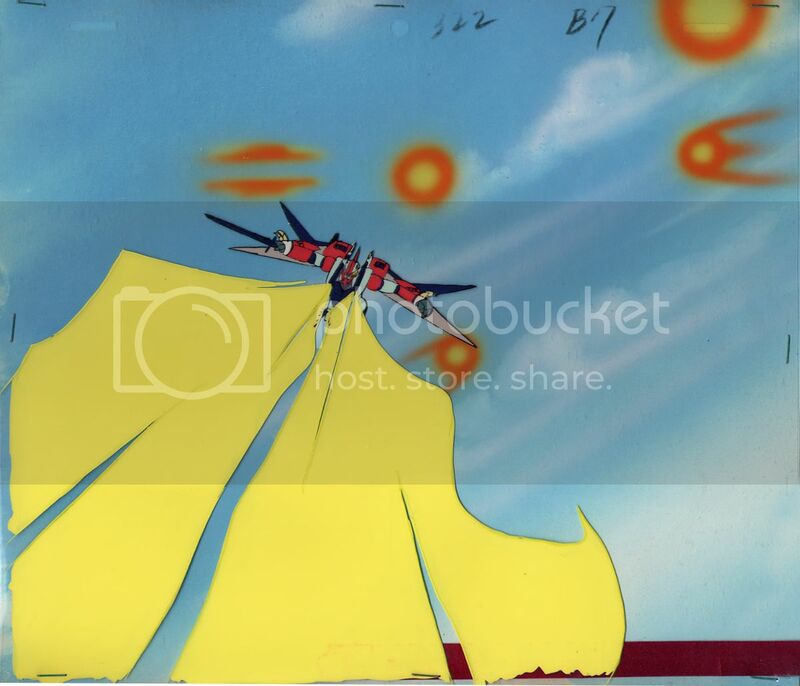 Offered here is an ANIMATION CEL from the Japanese anime series AURA BATTLER DUNBINE. It features a MECHA character (I believe named Billbine) and a painted background. The cel is numbered 322-B17, and measures 10 1/2″ wide and 9″ tall. As is typical, the cel is stapled to the painted background and is in EXCELLENT condition! The series aired on Nagoya TV from February 5, 1983 to January 21, 1984, totaling 49 episodes in all. There was a three episode anime OVA sequel, ‘New Story of Aura Battler Dunbine (also known as The Tale of Neo Byston Well) released in 1988. Categories: ART, ORIGINALS, Animation. Tags: collectibles, anime, Aura Battler Dunbine, Mecha, animation, art, cartoon cel, original cel, Pop Culture, science fiction. Be the first to review “AURA BATTLER DUNBINE Animation Cel MECHA (1983) Anime” Click here to cancel reply.